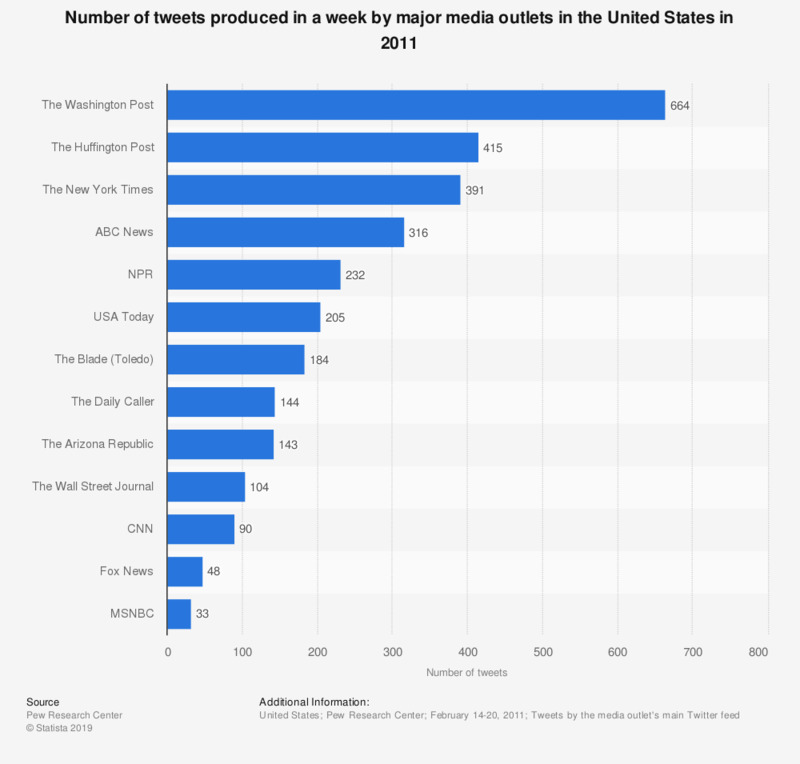 This statistic presents the number of tweets that were produced during a sample week by American news outlets main Twitter feeds. During the time of the study, the main Twitter feed of the Washington Post produced 664 tweets. Researchers examined the Twitter feeds of 13 major U.S. news sources at three levels, including the main feed representing the news outlet (like @washingtonpost) as well as the feeds of the individual journalists who had the largest number of Twitter followers. In all, then, 37 different Twitter feeds were studied. A total of 3,646 tweets were examined from the week of February 14-20, 2011 (2,969 main organizational tweets and 677 journalist tweets.) In addition, that content was compared with 972 stories found on the original platforms of those news outlets from the same week.